LOS ANGELES -- Bumble Bee Foods and two managers were charged by Los Angeles prosecutors Monday with violating safety regulations in the death of a worker who was cooked in an industrial oven with tons of tuna. The body was severely burned, reports CBS Los Angeles. The oven is used to sterilize cans of tuna, the station says. The company, its plant Operations Director, Angel Rodriguez, and former safety manager Saul Florez were each charged with three counts of violating Occupational Safety & Health Administration rules that caused a death. Rodriguez, 63, of Riverside, and Florez, 42, of Whittier, could face up to three years in prison and fines up to $250,000 if convicted of all charges, prosecutors said. 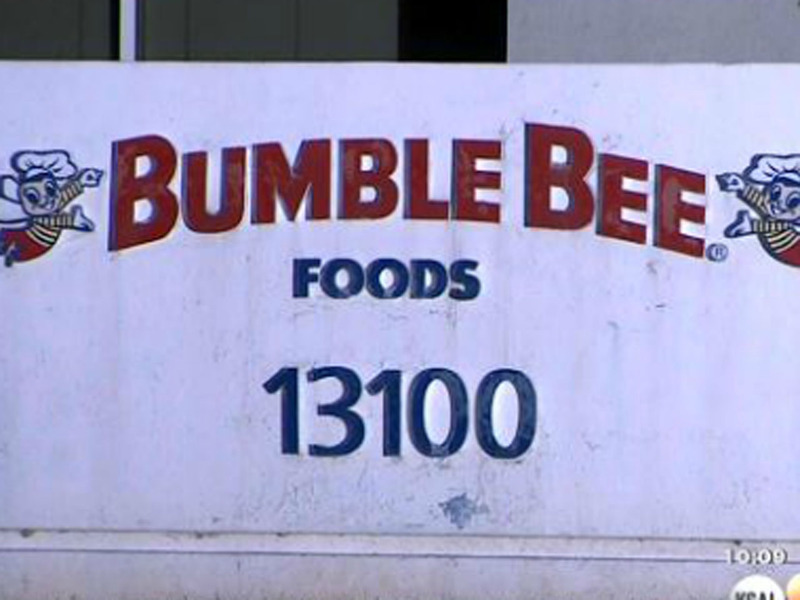 Bumble Bee Foods faces a maximum fine of $1.5 million. The state's occupational safety agency previously cited the San Diego-based company for failing to properly assess the danger to employees working in large ovens and fined it $74,000. Bumble Bee, which has appealed the penalties, said the company improved its safety program after the tragedy. "We remain devastated by the loss of our colleague Jose Melena in the tragic accident," the company said in a statement. "We disagree with and are disappointed by the charges filed by the Los Angeles district attorney's office." Florez refused to comment, and messages seeking comment from Rodriguez were not immediately returned. District Attorney Jackie Lacey said prosecutors and investigators from her office have been going to major industrial accidents to ensure illegal and deadly work practices are prosecuted. Prosecutions of workplace violations are uncommon - even in fatalities. The state cited nearly 15,000 workplace violations in 2013, according to the state agency. Of 189 fatality investigations opened that year, the state only referred 29 to prosecutors. District attorneys only filed charges in 14 cases that year, though some of those charges could have been for cases referred in earlier years. They could have brought charges subsequently for cases filed in 2013.